What Happens During a Hearing Aid Fitting? Ensuring that your hearing aid fits correctly is the primary job of a hearing health professional. Hearing professionals need to make sure that not only are the settings correct for your particular type of hearing loss but that the device fits perfectly so that you can wear it comfortably, day after day. But what exactly happens during a hearing aid fitting? 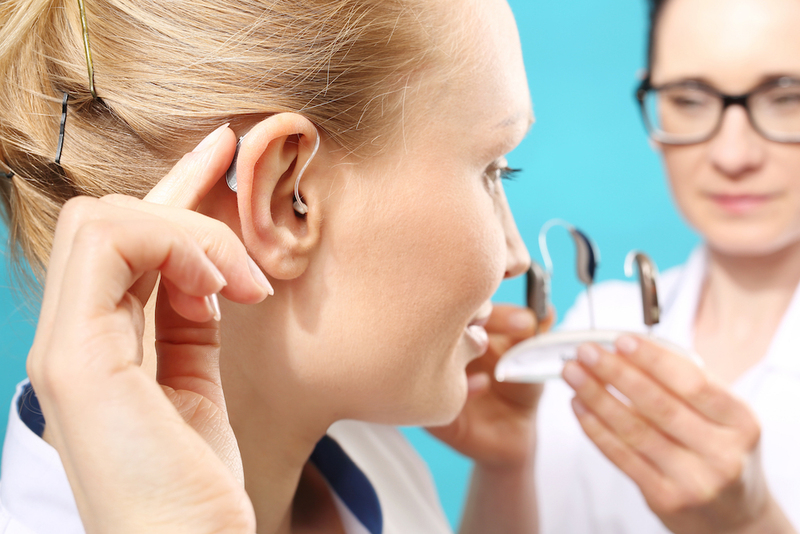 The first step in any hearing aid fitting involves discussion your particular hearing needs. You’ll talk with the hearing specialist about things like the range of technologies now available on assistive hearing devices, which of these you may need, and how much devices cost. Your hearing professional should inform you of the relevant advantages and disadvantages of hearing aid features, and offer guidance on whether you can benefit from them in your own life. The next step is to find out whether your selection of hearing aids meets your needs. Hearing professionals check the performance of hearing aids by doing what’s called a “Real Ear Measure.” The Real Ear Measure is a technique that measures the volume of sound (in decibels) that the inner ear receives from the device’s speaker. It’s a foolproof method to make sure that the device works as intended because it does not rely on the subjective response of the patient (who could report a quiet sound because of hearing loss). The next step is to fit the hearing aid to the patient’s ear. The priority at this stage is to make sure that the device provides the correct amplification. However, hearing professionals also will also check that the device fits properly so that you don’t experience discomfort during daily use. Hearing specialists will use this stage as an opportunity to play different sounds through the device, ensuring that it functions adequately across the entire range. They will begin by playing quiet sounds, and then gradually increase the volume, checking that the sound remains undistorted throughout. Hearing aids often require a great deal of fine-tuning to make them compatible with the patient. Hearing professionals will work with you to ensure that your device is set up for your unique needs. The first step in this process is to ensure that the device amplifies sounds at a comfortable level. Moderate-intensity noises should be moderately intense, rather than overly loud. A hearing professional will adjust the volume of the device until it conforms to your expectations of how loud particular sounds should be. Again, hearing professionals will use a combination of subjective questions and objective tests to determine the correct amplification level. The next step is to calibrate other settings. These settings will depend on the kind of device that you use. Your particular model may have a range of channels that allow you to preferentially amplify specific sound patterns, such as those associated with certain pitches. Once you’ve finished a hearing aid fitting, you should leave content in the knowledge that you’ve chosen the right hearing aid model and that the settings are correct.